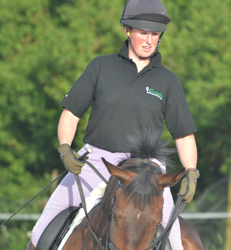 Emvelo Products Ltd announced that they are delighted to be supporting Victoria Bax of VB Eventing. Victoria Bax is an Essex based event rider. Victoria specialises in the retraining of racehorses into event horses, giving them the chance to get to the top a second time around. She travels all over the country with her string of ex racehorses campaigning up to Intermediate level. Victoria reports- "VB Eventing is using both the Stable+ and Protect+ products from Emvelo. 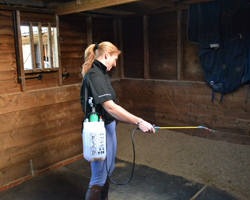 We can honestly say that we have seen dramatic results in both the horses’ well being, calmness and the lack of insect bites that normally affect the Thoroughbreds. We also have a mare that Cribs and since introducing Emvelo into the stable environment the cribbing has subsided. This is a product and organisation that we would 100% recommend and delighted to support and be associated with."